Amazing track! Maher Zain has done it again. This song is all about turning to Allah for guidance. It teaches us to remember him no matter how difficult things may get. It’s completely normal for us to feel left alone at times, in fact the prophet Muhammed (pbuh) also felt this way. This teaches us to never loose hope. Maher’s song gives out a similar message. The video is one of the best things about the track in my opinion. 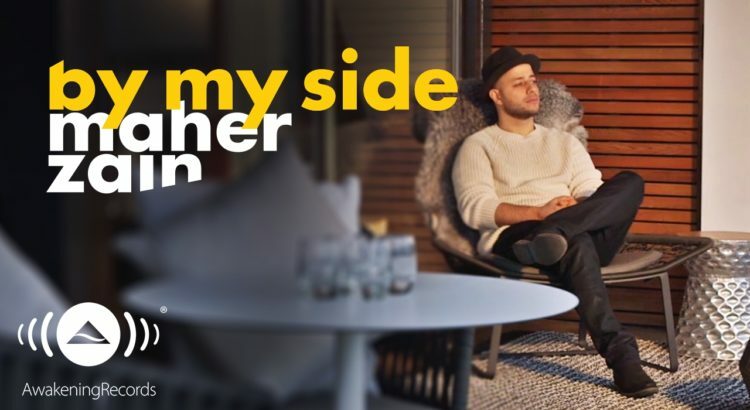 It has been kept extremely simple, featuring Maher Zain in his house by the fire – there are no cuts or edits. I really like the use of mise-en-scene – it gives that warm, comfy ‘singing by the fire’ feel. Do you know the feeling? Now onto the main part of the review. We will go through the lyrics, calling out any references to Quran and hadith. 1 You’re concealing my mistakes, yeah! “Abu Hurayrah said: I heard the Messenger of Allah (peace and blessings of Allah be upon him) say: “All of my ummah will be forgiven except those who sin openly. It is a part of sinning openly when a man does something at night, then the following morning when Allah has concealed his sin, he says, ‘O So and so, I did such and such last night,’ when all night his Lord has concealed him and the next morning he uncovers what Allah had concealed.”” (Narrated by al-Bukhaari, 5721; Muslim, 2990). I almost feel the above Hadith is a reference to Facebook/Instagram. Some youngsters may end up going to bars and clubs during the night, especially at university/college. This is a prime example of a sin which is covered by the darkness of the night. The problem in these modern times is that many people take photos and post them on social media, allowing everyone to see their sins the next morning! Let’s be thankful to Allah for covering our mistakes. Indeed Allah is with us. This is a good reference to what I spoke about earlier. The prophet was depressed with the absence of revelation, which restarted. Allah speaks about his mercy in many places in the Quran. It’s amazing to think Allah described his closeness as being closer than the jugular vein, as this vein is essential for survival. Lovely song – it’s unique, well-produced and contains deep meaning. The title ‘By My Side’ has also been used by Safe Adam in his track which I reviewed a few months back. The same words also appear in the chorus of Zambilooni by Zain Bikhr. Please find my rating below. What do you think of this track?